Video Marketing is a relatively new platform many are using to launch their businesses. Take Audi’s “Spock vs. Spock” commercial, for example. This article talks about how such a popular commercial isn’t reaching potential customers on their televisions but on their computers, smart phones or other mobile devices. The reason is the German car company intentionally deployed the commercial over the Internet only. This video marketing campaign is a triumphant effort in saturating a captive audience, not to mention potential customer base. Expert marketers are recognizing video’s ability to play an important role no matter your budget. 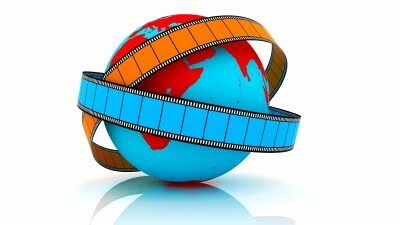 You can easily use video marketing to inform, entertain, capture leads and drive revenue. To have an effective campaign, however, you will need to get feedback, create unique experiences, and support the program through an organized campaign. After you’ve posted your video, start tracking and analyzing how well it is received. Vidyard, a video marketing company, has been able to tap into the ultimate way to measure a video’s success. For instance, they are able to tell when a viewer closes your video after 10 seconds or stays on to watch it until the end. You can imagine which scenario is better for your business. The data helps companies understand where they need to take their video marketing plan in terms of creating unique material. Once you’ve established where your strong suits are, build a customer-centric view based on that video content. This is the best way to offer innovative and effective content to drive customers to your site and into a steady revenue stream. Once you’ve opened the door to user-level knowledge, it can’t end there. You need to bridge the gap between what customers know and what they want to know. You can produce a video marketing plan that incorporates more videos to tap into concepts that engage the viewer. Until now, operating such an intense form of marketing has been the most difficult thing. Even if you could see how well it performed or engaged the audience, establishing how it plays into your ROI was another story. You will need to incorporate that video data into your other sales and marketing tools. The video marketing information gives your sales staff the leverage they need when making contact with customers. It offers a unique insight into what interests them. The video analytics transfer well into marketing automation platforms and customer relationship management platforms. It’s a seamless integration of usable information about each and every customer. If you’re looking for a partner to get the ball rolling on your next video marketing campaign, give us a call. Videos will continue to provide customers with the information they seek and businesses like yours with the data to sell them so let us help make the content the best it can be. This entry was posted in Video Marketing and tagged content marketing strategy, marketing, marketing campaign, marketing strategy, marketing tools, ROI, sales and marketing tools, social media, social media tools, Susan J. Campbell Copywriting Solutions, video, video content, video data, video marketing, video marketing campaign, Vidyard, web video. Bookmark the permalink.